Tue., April 5, 2016, 11:42 a.m.
PRAGUE – Prague zoo has announced the arrival of the first elephant both conceived and born at the zoo. Zoo director Miroslav Bobek says the mother, Janita, gave birth to the 230 pounds male calf – her first – early Tuesday. It has yet to be named. 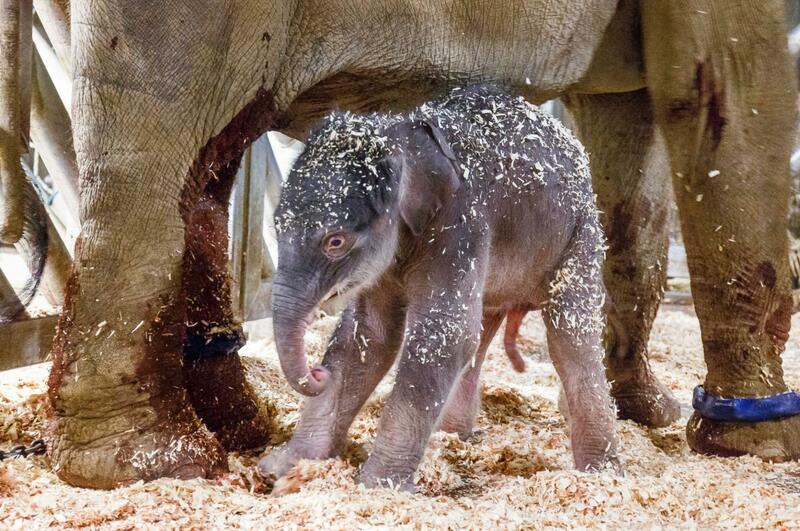 The zoo has had elephants since 1933, but none like this baby. Among mammals, elephants have the longest pregnancy, almost two years. Janita came to the zoo in 2012 from Sri Lanka. Janita was separated from the calf for an hour after showing signs of aggression, which is not uncommon for elephant mothers after the birth. On Thursday, the first visitors will be allowed to see the baby elephant. Published: April 5, 2016, 11:42 a.m.